Highly effective, highly absorbable patented form of vitamin C. Ester-C™ is a neutral pH presentation of vitamin C, where the vitamin C is buffered to make it gentler on the stomach particularly where larger amounts are consumed. 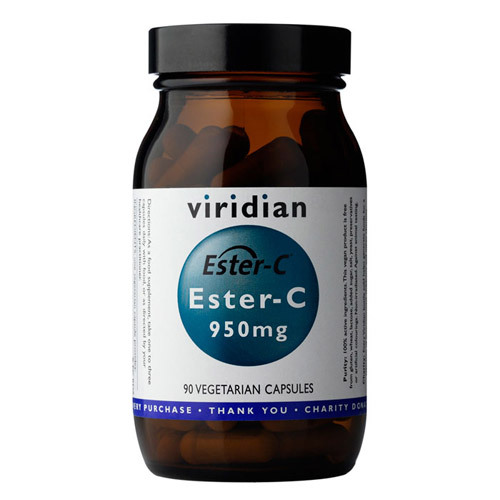 Ester-C™ is absorbed faster and retained for longer than regular vitamin C, in fact it reaches the cells in more than four times the quantity when compared to regular vitamin C.
The antioxidant nutrients have the ability to protect the body from the activity of highly-reactive molecules called free radicals. Free radicals have the potential to create havoc with the health of the body`s cells. The antioxidant nutrients, which include vitamins C and E, also have a role to play in the maintenance of healthy skin, immune function and heart. Ester-C, ascorbic acid (vitamin C), calcium, threonic acid, vegetarian capsule. Take one to three vegicaps daily with food, or as directed by your healthcare professional. 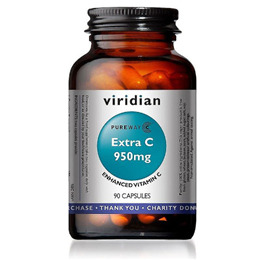 Below are reviews of Viridian Ester C - Vitamin C - 90 x 950mg Vegicaps by bodykind customers. If you have tried this product we'd love to hear what you think so please leave a review. great product, it's kept the winter colds away! 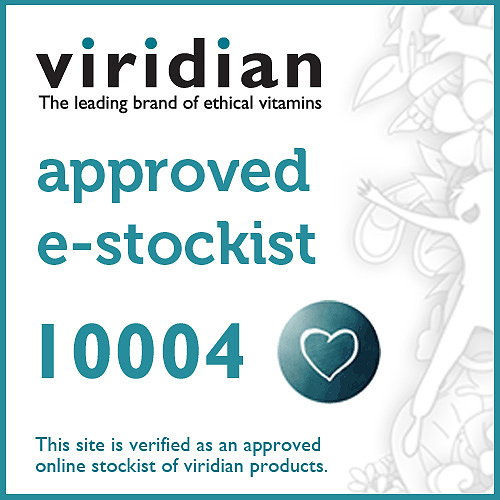 Been using Viridian products a long time, not sure if it’s the quality of the product but I do not get colds, very rare have to have any antibiotics and being in my senior years I can safely say it will have to be the help vitamins I am doing ok, (hope I have not tempted fate). Works for me. No cold for months!